The Faculty of Humanities and Social Sciences at Oxford Brookes University is using cutting-edge virtual reality technology to recruit new students. 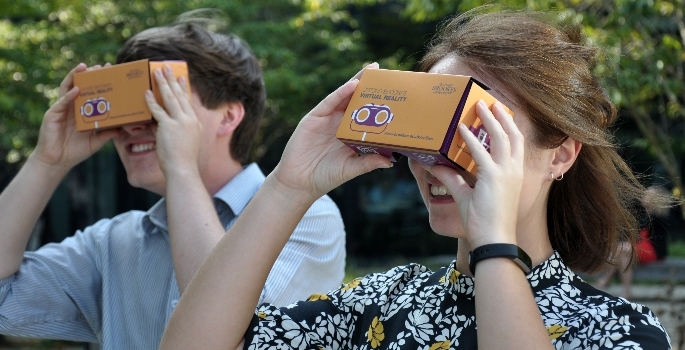 At the Open Day on Saturday 8 October, visiting students will be invited to download the VR Tour to their phones and, with a free Google Cardboard headset which will be handed out on the day, will be able to experience a virtual tour of the campus and gain an insight into the teaching and learning spaces at Oxford Brookes. Professor Anne-Marie Kilday, Pro Vice-Chancellor and Dean of Faculty of Humanities and Social Sciences at Oxford Brookes University said: “For prospective students, there is a lot to see and information to take in at Open Days. Our VR Tour app and the headset, which students will be able to take away with them, will allow people to revisit the campus when they are back at home in a truly immersive virtual experience. Using the headset, students will be able to tour the facilities across the Harcourt Hill and Headington Campuses including, teaching rooms, the student union, social learning spaces, places to eat and accommodation. Once the students have their app and headset they will be able to revisit the app for new content updates. The VR Tour app has been developed with Better Reach, an award-winning IT marketing solutions provider. Better Reach managing director Stuart Edmonstone said: “This is a fantastic opportunity for universities to interact with interested students from across the world. Viewers can immerse themselves in a 3D tour of the facilities, experiencing the location as if they were visiting in person. The app – Oxford Brookes VR HSS – is available for Android and Apple’s iOS platform and can be downloaded from www.brookes.ac.uk/vr/hss or the Apple and Google stores. Google Cardboard v2 or compatible headset is required for viewing. 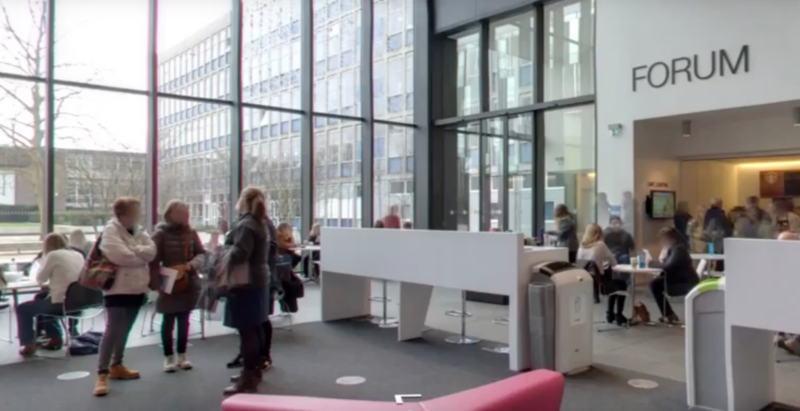 Last year, the faculty held their first virtual open days which included a Google Streetview-style tour of the facilities across the university, plus online video webchats students and staff talking about courses in detail. Is edtech the future for HE catering?